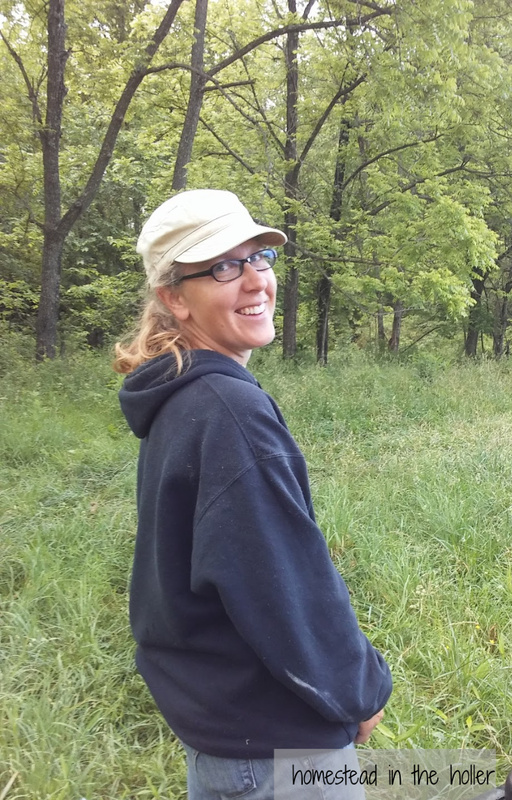 When we purchased our farm in the summer of 2014, we knew we had a lot of work ahead of us. Our farm had a lot of barns, most in disrepair. The fencing wasn’t much better. There was a lot of barbed wire, some of it was in good shape but most of the fence was in desperate need of repair. There were some rotten posts, holes in parts of the fence, the entire fence down in other areas. Despite all of this, we were eager to get started adding animals as soon as possible. We wanted to add sheep, goats, cattle and pigs to our farm. 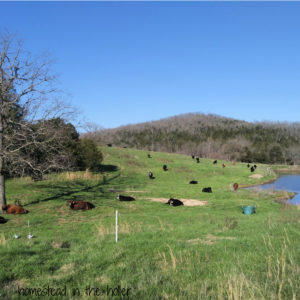 From the beginning we knew that we wanted to practice rotational grazing with all of our animals. Rotational grazing involves moving livestock to fresh paddocks to allow the grass in the previous paddocks to grow back. How frequently you move your livestock depends on your situation and can range from a couple of times a day, to once a week. Electric fencing is often used in rotational grazing systems, with a permanent perimeter fence. Electric fencing seemed like a good solution to our fencing issues. The decision was made to use temporary electric fence exclusively until we could get some permanent fence built. Before adding animals to our homestead, we built several small, light-duty working pens out of cattle panels. We use these pens to quarantine new animals, trim goat and sheep hooves and most importantly, to train the animals to electric fencing. The animals need to respect the electric fence, it will help keep the animals in their pens. Electric fence is only as good as the training of the animals. Putting untrained animals behind electric fence is a recipe for disaster. There are various ways to do it, but we put our animals in a solid pen for training. Then, using either step-ins or other insulators, add a perimeter of the electric fencing you intend to use. Leave the animals in that pen for at least a week, where they will learn to back up when they encounter the fence, rather than pushing through. Also, never, never put undue pressure on animals in just electric fencing. That includes turning scared animals into a paddock fenced with electric. They will simply run through the fence. We use solid pens for any sort of activity that involves handling animals. We also always entice animals into new paddocks using fresh grass or treats rather than trying to chase them into the new area. This is far less stressful for the animals and just works better. The animals quickly learn the routine and will come when you call or they see you. We always use the same call when moving paddocks and most animals will come quickly to the call. Even with training the animals to electric fencing, animals will get out. The disadvantage to no permanent perimeter fence is that the animals can go on adventures like our goats did last fall. Thankfully our animals usually don’t go far and are easy to get back into their pens. We do dream of the day that the perimeter fence is done, then when the animals get out of the electric fenced paddock, they will still be fenced in. It definitely pays to get your animals tame and eager for a treat so they will seek you out when they are out of their fence. In order for electric fencing to work, you need an access to electricity. We move animals all over our property and the majority of the pastures do not have access to electricity. Travis built mobile solar fence chargers to move around with the animals to power the fences. 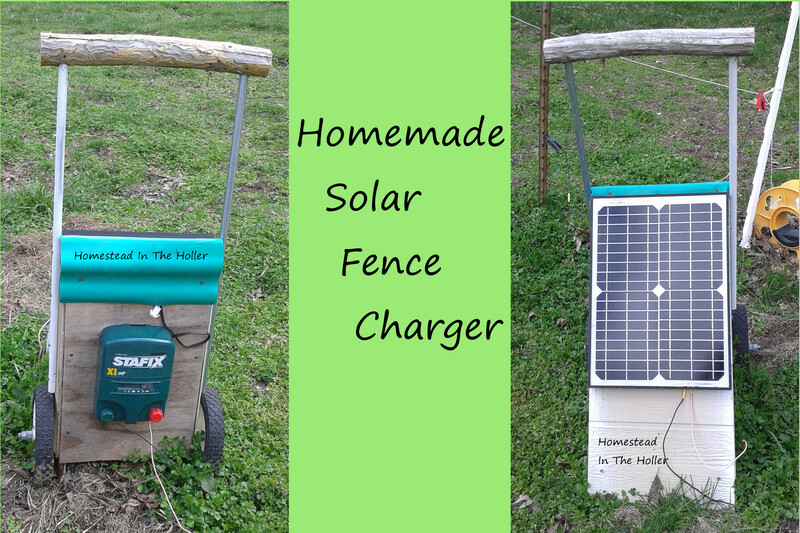 He built the solar fence chargers small and on wheels to make them mobile and easy to move from pasture to pasture. Each fence has a solar fence charger to move around with it. We have enough sunshine that the solar chargers are able to keep their batteries charged and the fences hot. There have only been a couple of times that we have had to switch out the batteries for charging. Those times were because the solar panel was placed in an area that was shaded. Moving the solar charger to a better spot will normally charge the battery by the next day. We have purchased a lot of movable fence posts and electric fencing. Goats are harder to keep fenced in with any kind of fence, electric fencing is no exception. We found it was easier to use electronet fencing with the goats. The rest of the animals have done well with fence posts and strands of poly wire electric fencing. We have found that 3 strands of electric is enough to keep our sheep in, 1 strand for the cattle and 2 strands for the pigs. Most times 2 is adequate for sheep and 1 is adequate for pigs, but we have concluded that the small amount of added time for the additional strand is worth it. That means a lot of fence posts and spools of electric cable! One can never have too many fence posts or spools of electric fencing, especially when you are using electric fencing exclusively! Here is what we use on our farm. Electronet fence around our Kiko goats. Since we have no permanent perimeter fencing, we have to put up enough electric fencing for an entire pen. Setting up an entire pen takes time, especially when there are several herds/flocks to move around on a daily or every other day basis. While it’s an investment in time, we feel like it is worth the effort to keep the animals moving. 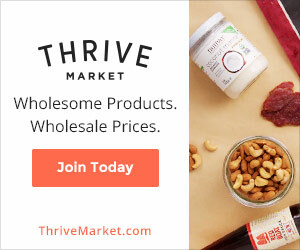 Great for the animals and great for the land. Once we have perimeter fencing in place, the amount of time to move animals will be greatly reduced. 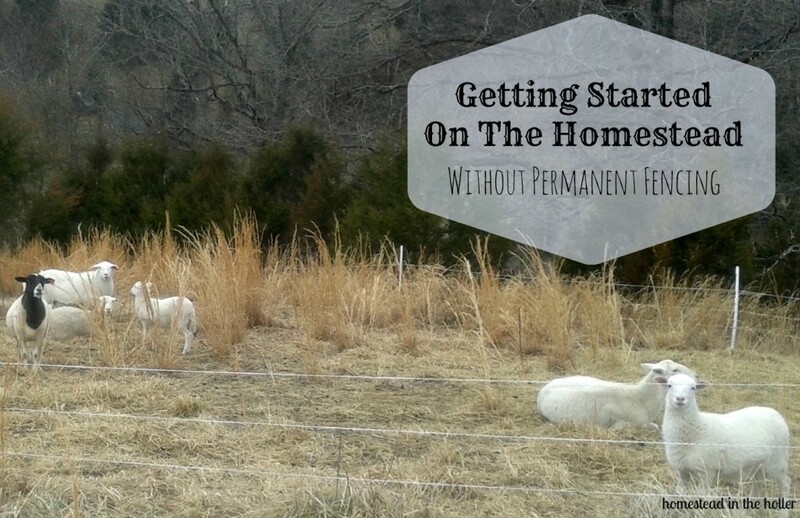 The advantage to putting up a whole new pen is that you can put goats, for example, in areas that have a lot of brambles that you want them to clear. We have a lot of multi flora rose and blackberries that are taking over some of the pastures. 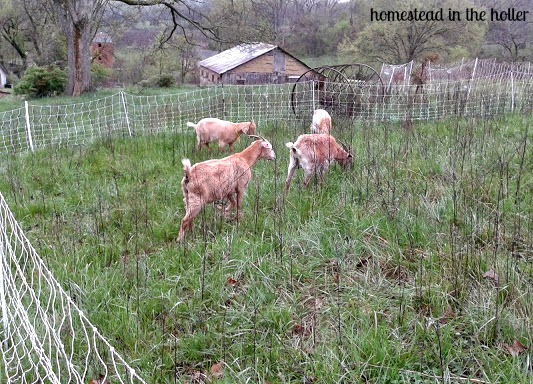 To reclaim the pasture land, we put the electric fence around the brambles for the goats to clear. They can clear out a blackberry patch in no time! Snow and ice complicate electric fencing a bit. Snow and ice are heavy and will either knock the fence down, especially if you’re using electronet fencing, or potentially short the fence out. Either of those instances will be opportunities for animals to get out. Thankfully we have not had any issues with ice or snow affecting our electric fences. Can you get started without permanent fencing? Yes, you can! 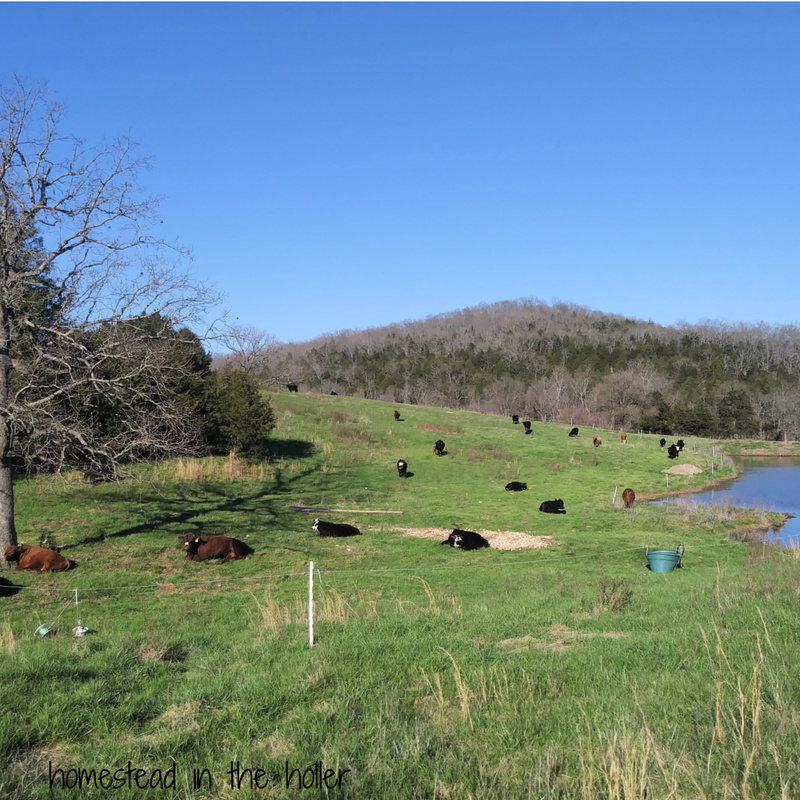 But having pastures all fenced and ready is really the best way to go. It will save you a lot of hassle and headaches! We are looking forward to the day when all of our pastures are fenced. Fencing will be an ongoing project here on the homestead. For now, we’ll be out there doing what we can with what we’ve got! This entry was posted in Animals, Farm Life, Homesteading and tagged cattle, electric fencing, electronet fencing, goats, homestead, new homestead, no permanent fencing, pigs, rotational grazing, solar fence charger, supplies for rotational grazing, temporary fence. Bookmark the permalink. I love what you said about cattle panels as a temporary fence. My wife and I are building a house out in the country, and we have thought about using livestock panels as a nice boundary and decoration. Maybe now I can convince her to keep the animals in them!